As a 35 year veteran of the residential real estate business Don has extensive experience representing both buyers and sellers of residential real estate. Originally licensed in New Jersey in 1974, Don moved to Gloucester, Massachusetts in the late 1970's. 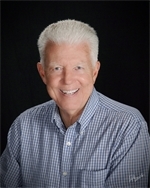 He opened his own real estate office in 1979 and became a Century 21 franchisee in the mid 1980's. The office was sold in 1991 when Don relocated to the Boca Raton area to continue his real estate career while enjoying the tropical climate and Florida lifestyle. Believing in the value of education, upon entering the real estate profession Don began taking courses to expand his knowledge of the business. He holds the Graduate Realtor Institute (GRI), Certified Residential Specialist (CRS), E Pro designations of the National Association of Realtors. In addition he has taken many specialized courses on the financing, marketing and selling of real estate offered by Century 21, Arvida, ReMax, The Mike Ferry organization, and various educational institutions. Through the years Don has consistently earned awards for both his listing and sales performance. During his career he has listed and or sold several thousand homes and occasionally has represented other agents in the sale of their personal residences. While being recognized by his peers is important, Don feels it is more important to be recognized by the clients he serves. Proof of his success in serving the clients he has represented through the years is the fact that many of them refer friends and family members to Don as well as contacting him when they need real estate services or advice. Jane started her career in real estate in 1998. She previously worked in various administrative and management positions in Baltimore, MD, Clearwater and Fort Lauderdale, FL. Providing administrative support is her forte. She is a valuable member of the organization and contributes to the marketing and administrative areas.